Morphine abuse has been a problem since it was first isolated from the opium poppy in the early 19thcentury to treat moderate to severe pain. Despite its potential for abuse, it’s still very often used in hospital settings due to its effectiveness as a fast-acting and powerful painkiller and sedative. This opioid works to block pain receptors in the brain and spinal cord and, when administered via IV, it can be almost instantaneous in its effects. It’s often used in emergency situations to calm a patient in severe pain and to prevent shock. It’s also occasionally used to treat labor pains and during a heart attack. What Are the Long-Term Risks of Morphine Abuse? Unfortunately, since it is so effective in treating pain, it has a high potential for abuse. Opioids like morphine accounted for 20 percent of all drug-related admissions to addiction treatment centers in 2009, according to the Substance Abuse and Mental Health Services Administration. Most of these admissions, however, were for substances derived from morphine, like heroin, rather than morphine itself. Heroin, however, creates nearly the same effects as morphine. When ingested, heroin actually transforms back into morphine. The difference is that heroin is often mixed with other substances to either intensify or change the effects, or simply to make it cheaper. Getting help for morphine abuse is therefore not a particularly difficult task as there are plenty of treatment centers available that are equipped to deal with this problem. Research on how to best treat morphine addiction has been ongoing for centuries, and there are multiple medications available to make the process significantly easier. The primary challenge is recognizing when help is needed and taking that first step toward recovery before serious problems develop. Morphine works by blocking pain receptors in the spine, but it also causes nerves all over the body to become sluggish and not fire off as many messages. This results in a full-body reduction in pain, euphoria, and a general feeling of deep relaxation and sleepiness. Therefore, if you want to spot someone abusing morphine, look for a person who is moving at a significantly slower speed than normal. Those who abuse this drug sleep a lot and may nod off in unusual situations, have trouble focusing, or get lost in their thoughts frequently. Morphine can be prescribed by a doctor in pill form to treat chronic pain, though less addictive painkillers are more commonly used. Taking prescribed morphine as directed is not drug abuse, and it is unlikely to lead to addiction, though it can still happen if the substance is taken for a long enough period of time. Uncontrolled use, especially when in the form of heroin, is much more likely to result in addiction. There is also a growing illegal market for prescription drugs. Though harder to find than more commonly prescribed narcotics like Vicodin, morphine in pill form can be purchased outside of a medical setting and taken recreationally. However, when it comes to strong opioids, one study in the UK found that it was by far the most commonly prescribed, taking up 47-61 percent of the medications prescribed in the experimental groups. The rise of prescription medication abuse is largely due to the idea that these medications are safer than illicit drugs. However, morphine is not really safer than heroin. 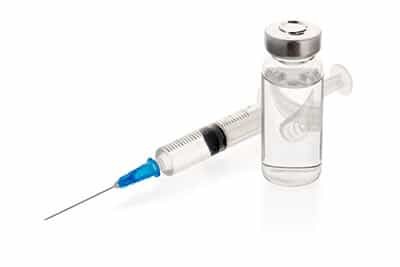 The higher danger with heroin comes from the risk of it being laced with other substances; besides that, morphine carries the same health risks as heroin. Physical and/or psychological dependence can also happen when victims of severe injuries are given intravenous morphine in the hospital for extended periods of time. This has happened for a number of amputee patients. After being constantly exposed to morphine for a period of days or even weeks, they leave the hospital addicted to the drug. Using morphine, even in pill form, for an extended period of time will inevitably cause the user to develop a tolerance to the drug. This means that a higher dose will be needed to achieve the same effect. Abusing any drug expedites this process. This is the first step to developing an addiction. If a person continues to rely on the substance for pain control, eventually the doctor will not be able to increase the dose any more. This is when even formerly legal and safe use often becomes abuse. Tolerance increases further, risking physical addiction and overdose. Physical addiction is often easy to spot. Once a person becomes addicted in this way, ceasing intake of the drug will result in withdrawal symptoms. These extremely unpleasant effects often act as a deterrent to getting clean and can even be dangerous if the addiction is severe enough. Symptoms typically appear within 12 hours of the last dose of morphine and can last for days, though exact timeframes depend on the nature of the drug abuse. Strong cravings for the drug can persist for several weeks or months after detoxification. Multiple medications have been developed to directly treat addiction to opioids and opioid withdrawal. A common treatment for those addicted to heroin is the long-term use of methadone. Methadone is a slower-acting opioid that is very similar in structure to morphine and heroin. It prevents withdrawal symptoms but does not create the same euphoric effects as other opiates. Once clients are transferred onto methadone, doctors can then gradually reduce the dosage over time. This can greatly reduce withdrawal symptoms and cravings during the detoxification process. Studies have found that treatment with methadone triples retention rates in addiction treatment programs. One dose of methadone lasts for 24 hours and is administered by a medical professional to prevent overdose. It’s alarmingly easy to overdose on methadone, and it can also cause severe interactions with a wide range of medications and intoxicants, so it’s important that the drug is strictly controlled rather than being given to individuals to self-administer. Daily clinic visits can unfortunately make it difficult for low-income clients to stay engaged in treatment, as these individuals may be more likely to lack reliable transportation or find the costs of transportation difficult to absorb. To counter these issues, a new drug called buprenorphine was developed. It works in a similar fashion to methadone in that it produces similar effects, but the euphoria and other pleasant and addictive properties are reduced even more than they are in methadone. This medication also lasts longer, and its effects plateau at a certain dosage level. This means that no matter how much of the drug is taken, it will not produce a more intense high. Buprenorphine comes with fewer health risks than methadone, and it can therefore be dispensed for personal use at home. A person who is struggling with addiction can take a bottle of buprenorphine pills home and take as directed without risk of overdose or deadly interactions with other common medicines. As a result, buprenorphine offers those in recovery more flexibility than methadone treatment. Medication and detox alone are rarely effective on a long-term basis. Addiction is a lifelong mental illness that always carries the risk of relapse. Therefore, without long-term treatment, relapse is much more likely. While detox may address a person’s physical addiction to morphine, it does nothing to address the psychological addiction. As a result, therapy is needed for effective recovery. It’s common for addiction treatment specialists to recommend inpatient treatment for serious cases of addiction. Opioid addiction tends to be difficult to overcome, due to the incredibly addictive nature of these drugs. As a result, inpatient rehab is generally recommended. Treatment can be more difficult if the individual is dealing with chronic pain. If the pain is bad enough, it may be incredibly challenging to find other means of pain management that are as effective as opiate painkillers. In inpatient rehab, clients are provided with alternative methods of pain management, and they have the 24-hour support of staff members to help them get through withdrawal and learn to manage the addiction. 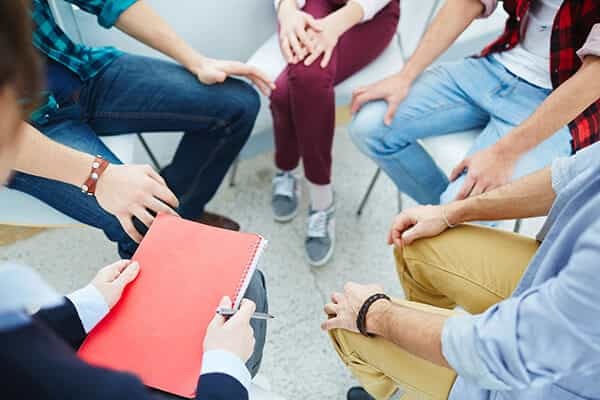 When inpatient treatment is not an option, or if the addiction doesn’t seem severe enough to warrant it, outpatient treatment can still be effective. The important thing is to be able to learn the skills needed to avoid relapse and treat any underlying conditions that led to drug abuse in the first place. Cognitive Behavioral Therapy has proven to be effective in identifying and correcting thought patterns and behaviors that can lead to substance abuse. When it comes to morphine addiction, clients can also explore alternative therapies for pain management, such as massage, acupuncture, and biofeedback. Long-term treatment involves going to individual or group therapy and/or support group meetings for many years. It’s common for individuals to continue with periodic therapy sessions, or regularly attend 12-Step meetings, for years and even for the rest of life. These sources of support are especially important when new life stressors pop up that can make cravings reappear. Even with comprehensive treatment, relapse is fairly common. According to the Journal of the American Medical Association, relapse rates for drug addiction fall between 40 and 60 percent. Relapse does not mean that recovery has failed, and it does not mean that long-term abstinence is impossible. It’s simply a speed bump that can be easily overcome with some additional support. With comprehensive, individualized care, recovery from morphine abuse and addiction can be within reach.